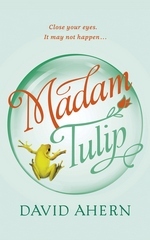 Series: Madam Tulip, #3Kindle Edition, 368 pg. Many people doubt psychic powers exist, but the doubters do not include actors. Everyone in showbusiness knows that as soon as one actor learns of a casting, actors of all ages, ethnicities, creeds and genders are instantly aware of every detail. Einstein claimed that faster-than-light communication is impossible. Einstein was not an actor. But not even the actors that Derry, Bruce and Bella knew had an inkling of the dash of good fortune heading toward Derry and Bruce — they were given roles in a movie without the need to audition, if they could get themselves to Northern Scotland and Derry might have to give a reading or two. For readers new to this, Derry played the role of Madam Tulip on occasion — giving psychic readings at parties and the like. Derry was initially reluctant to take the role, but she needed the work — and Bruce only got his job if she took hers. So they find themselves in Scotland — a land not necessarily ready for or welcoming toward people making a film. Which almost describes the director, too. He’s clearly nuts — and not in the genius filmmaker kind of way. Many of the other professionals on set did seem to know what they’re doing, which went a long way to keeping the production running. But mostly, the antics on the set made for good comedy. Derry is given a set of bones on set to add to her gypsy character’s fortune telling routine in the historical drama. While practicing with the bones, Derry starts to have visions, we’ll get into that later, but it’s clear that she’s gotten herself into more than meets the eye (again). As usual, Derry’s desire to help people and natural nosiness gets her involved in these people’s lives (okay, she might have less altruistic motives about the estate manager). And that’s before someone tries to kill her and/or one of her new friends. Once that happens, Derry can’t help but dive into finding out what’s going on. 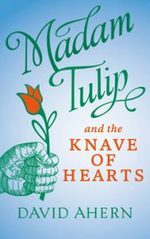 Madam Tulip may be able to guide the direction she goes, but it’s Derry’s on cleverness that will carry the day. In Madam Tulip, her father seems to actually believe that she had some psychic ability, otherwise it seems like a lark, something she does for giggles. But in book 2, it seemed possible that she might actually have some abilities, but there wasn’t much in the novel that was more than a hint or suggestion that she did. But here? That hint, that suggestion is gone — she sees things when she rolls the bones, her Tarot readings do say a lot that’s true (and future) about the person she’s reading the cards for. I think I liked it better when the reader wasn’t sure if she had gifts or not, honestly — but only a little bit. I’ve been a fan of this series since chapter two or three of the first book, so you’re not getting anything really objective here (not that you ever do). But this is the best that Ahern’s done yet — there’s plenty of good comedic writing (there are lines I tried to shoehorn into this, but couldn’t, that made me laugh out loud), a mystery you can’t really guess the solution to, a little peril, a dash of romance and some fun characters. That’s not even counting Derry and Bruce. Bones of Chance is a strong entry in the series that will please fans, but it’s also a decent jumping on point for new readers. Basically anyone who enjoys light mysteries with a touch of something extra should have fun with this book. There are times that I fear my enthusiasm towards a book doesn’t come through, and I usually don’t know how to achieve that better — this is one such time. I found myself grinning frequently while reading this — I chuckled, I even laughed out loud. I had a few theories about the trouble that Derry was getting herself into, and failed with almost all of them (a sign of a good mystery/thriller, if you ask me). If you’re not picking up my enthusiasm, that’s on me, just trust me that it’s there. Disclaimer: I received this eARC from the author in exchange for my honest opinion..
After the dramatic events at the end of her first experiment as Madam Tulip, Derry puts away her costume and fortune-telling apparatus, focusing on something safer — like theater. Which works up until the roof caves in after her big opening night. So now she (and her friends) are without jobs, the theater’s existence is in danger, and Derry’s mother is just waiting for a chance to pounce and force her into a “real” job. Derry and her pals organize a charity auction (with some help from her mother) to help the theater — Derry also ends up working for her mother in a temporary capacity (only one of them actually believes that part) — we see a different side of her, on e that makes you believe she has options outside of acting if she wants them. I like seeing her character rounded out — I also liked the little flash we had of her acting ability outside of Madam Tulip. Marlene comes to the rescue as well — she has a friend from a titled family, who is throwing an extravagant engagement party and wants Madam Tulip to be part of it. This will give Derry a needed infusion of cash and the family will make a contribution to the theater’s fund as well (there’s a family connection). Bruce also picks up some work, which is convenient for Derry — and for Ahern — always handy to have your ex-SEAL buddy character nearby if things go bad. And they do, naturally — Derry has visions of an unhappy bride, body parts start showing up in the mail (don’t worry — this doesn’t get gruesome), and rumors of other family problems surround Derry. It’s up to her, her clients (featuring a spunky dowager), and Bruce to save the day. It might just be me, but there’s a larger supernatural feel to this one. Last time, you could almost get away thinking that Derry was just good at reading people and doing the card thing as a lark. But in this volume, there’s no denying that she has some sort of “sight.” While the supernatural is more evident here, it’s not like Charlaine Harris took over, it’s still pretty much the same feel. Also, I should add that Derry putting the pieces together at the end isn’t all due to her gift — the practical side, her mother’s influence, that has as much to do with her success as anything else. There’s a bit of a romantic storyline here, I liked this one better than the previous book’s foray into that part of Derry’s life. It was less complicated and more believable. Sure, I liked the guy from the last book more than this one — but the story worked better with this interest. The whole gang is back for this go ’round. We didn’t get a lot of Bella, less of Marlene than I expected, and less of Bruce than I wanted (but he’s there when he needed to be) — but the just the right amount of Jacko (who was a lot of fun) and her mom. The new characters were okay, I didn’t get the sense of connection to them that I did with everyone last time — they were clearly invented just for this adventure, ready to be replaced by another group in need of her talents. This is a fun, light mystery — great for readers of David Rosenfeldt or Janet Evanovich, who don’t mind a touch of something beyond this world. I really liked the first book in this series — I’ve even put my money where my mouth is and given it as gifts. I liked this one almost as much, but in many ways it reminded me about what I’ve heard many TV writers talk about — writing the pilot is hard, but the 2nd episode is worse — it’s basically retelling the pilot in a slightly different way. On many fronts, that’s what this felt like: a slightly tweaked version of the first book (and as soon as I wrote that, I thought of at least a half-dozen ways I was wrong to say it). I hope book 3 (assuming we get one) is a little less like these two. But I’m still going to be there, because these characters and Ahern’s voice are right up my alley and I want to spend more time with both. Earlier today, I posted my take on Madam Tulip, and now here’s a quick Q & A with the author, David Ahren. 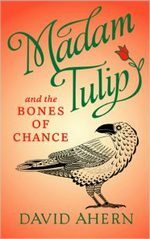 According to your author bio, Madam Tulip isn’t your first novel — but it’s the first published, though, right? What made this one different than the others? My last novel was a dark thriller, edgy and disturbing. 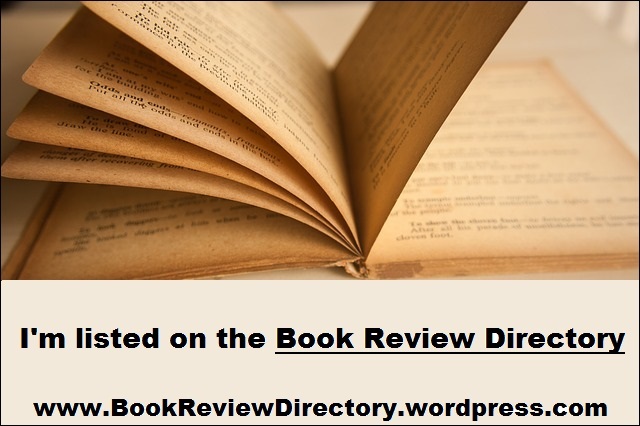 When I was lucky enough to get to talk to several publishers about it, I found they were only interested if I meant to follow up with a couple more in the same vein. I really didn’t want to do that. So it sits in the imaginary drawer and will probably stay there. In the writing of Madam Tulip, what was the biggest surprise about the writing itself? Either, “I can’t believe X is so easy!” or “If I had known Y was going to be so hard, I’d have skipped this and watched more TV”. How much sheer fun they are to write was a real surprise. I love living with these characters. I particularly enjoyed the character Jacko. What can you tell me about him — where did he come from? Ah! He sprang up fully formed, hair and all. I love characters who are impossible people you can’t dislike. Jacko owes a lot to one of my grandfathers who had a wonderful ability to relish life. He had extraordinary energy and always had a scheme of some sort, usually unwise. Did you intend from the beginning on this being a series and construct things with that in mind, or was this a novel you liked enough that you wanted to continue with Derry and the rest? Madam Tulip was a series from the start. I used to make TV documentary series in another life, so thinking that way is instinctive for me. I like the way a series forces you to be consistent with your structures. You have to set yourself strict rules. Tough, but satisfying when you succeed. Is there a genre that you particularly enjoy reading, but could never write? 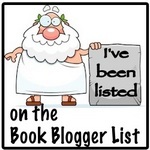 Or are you primarily a mystery reader? That question really makes me think. These days I read mostly non-fiction, because I don’t like to be influenced stylistically by other novels while I’m in the middle of writing one. Historical novels I love. In fact my all-time favourite writer of series is Patrick O’Brien who wrote the most wonderful series of sea-stories. But any time I tried to write in that genre, I got bogged down in hugely enjoyable research and forgot I was meant to be creating a story. Thanks so much for your time, hope the launch goes well! And thank you H.C. for your interest in Madam Tulip. She thanks you too and sees a wonderful future for your blog. While in the shower this morning, it hit me that I left out something like a paragraph and a half of this — and I had to make the choice: fix this before it posted, or get to work and fix it later. Because my wife tends to appreciate things like paychecks, a roof over our heads and food for the kids, I chose the latter. If you read this already, try it again. This one just launched this past weekend — get it while it’s hot and fresh so he can do more! ‘Hi,’ said Marlene, pausing for the briefest moment before striding up the steps and through the entrance, trailing the rest behind. Derry might have been justifiably offended at the offhand greeting but recognised the signs of a woman bursting for a pee. That a supermodel needed to pee was a gratifying thought, even endearing, though Derry recognised it was odd to like somebody just because they had a bladder. . .
Derry sighed. Her father was about to lose two hundred euro on a race, and although he wouldn’t dream of blaming her, she felt responsible. And now she was condemned to spend the afternoon in the company of a supermodel. Next to Marlene, Derry felt like a hobbit—a hobbit overweight and round even by the famously relaxed standards of hobbits. She looked down at her shoes (charity shop) then at Marlene’s (Jimmy Choos) and her soul shrank a little inside her. Derry’s an out-of-work actor — “fully qualified for unemployment in three different dialects” — trying to make a go of it in her father’s hometown of Dublin, and is on her last legs. Her mother is on the verge forcing her to return to the States and get a real job. And by “force,” I mean, “stop paying her bills so she has no choice.” But Derry’s got a little something extra working for her, she’s the only daughter of a seventh son of a seventh son — and therefore, has a bit of a gift. She uses it to read Tarot and other cards for her friends as a laugh, and that’s really about it. But suddenly, she really needs money, and the mother of invention just had another kid. With the help of her friend, Bella, and a couple of costume and makeup artists at a local theater, they create an alter ego for Derry, Madam Tulip — celebrity fortune-teller. Her first gig is at a charity event that Marlene sets her up with — Marlene is blown away by Derry’s gift, and desperately needs a friend. The event is the perfecting launching pad for her new role, it’s attended by actors, musicians, models, has-beens, wanna-bes, people with too much money, etc. For example, there’s Mojo. Mojo was an outlandishly gorgeous rapper from London, winner of numerous industry awards. He was also the star of TV ads for masculine cosmetics and a revolutionary vacuum cleaner also created especially for men, so presumably designed to withstand long periods of storage under the stairs. Not to get into details, but the event goes well — Tulip sees many people, some of whom take her card; Derry and Marlene get closer; money is raised for . . . something, I don’t know. Well, sure, nothing’s perfect — Derry runs into an old flame, Bella runs into trouble and someone died. If Derry’s sight is right, that’s just the beginning of the trouble. Before long, Derry and at least two of her friends are in danger on several fronts. Oh, yeah, and her mother is coming to town. Ahren’s put a lot of thought into these characters, it’s clear — they’re well-drawn, well-utilized, and prime for return in a sequel. Beyond Derry and Marlene, we have the aforementioned Bella — an outspoken fellow struggling-actress, the ex-boyfriend (will let you learn about him on your own) and Bruce. Bruce is an actor, and so much more — starting with ex-SEAL, which means he can be used for the dangerous stuff. Thankfully, he’s more human than most characters in this position, he’s not a gay version of Joe Pike or Ranger from the Stephanie Plum novels (nor, is he Spike from the Sunny Randall series). He’s a guy who’s done some things, seen some things, and is working to move on into his new life. We also have Derry’s folks — her mother (just as charming as you’d expect from the ultimatum) and her artist father. Derry’s father, Jacko, is the stand-out character for me — he reminded me of Moxie Mooney’s father from Fletch’s Moxie (been years since I’ve read that, so maybe he shouldn’t have). Jacko’s full of life, an inveterate gambler, a painter with an ego to match his talent, womanizer, not-as-devoted-as-he-thinks father — and, of course, the seventh son of a seventh son. I can easily see him becoming a drag on the series (see Grandma Mazur in the Plum novels), but as long as Ahren uses him right, he’s probably going to be my favorite. Here’s the best part of the book for me, it’s also the part that keeps this in the “Mystery” category and not “Urban Fantasy,” Derry’s gift really has very little to do with the outcome of things. She knows there’s trouble afoot (murder tends to indicate that), she has friends in peril, and she does something about it (calling the police is out, for pretty good reasons). It’s Derry’s wits and some help from her friends that allows her to help bring justice to the situation. Naturally, most of the help on the friend side comes from the ex-SEAL, because when you’re in danger, and you have an ex-SEAL friend, that’s who you look to. Derry risks life and limb to help out her friends without any supernatural, extrasensory, etc. assistance. This isn’t a comedy, but it’s comedic. Ahern writes with a light, but confident, touch. It’s well-paced, and it kept me very engaged. The mystery is fairly simple, but this doesn’t set out to to be a head-scratcher. It’s a silly adventure — and a well-executed one at that. Think Psych where Shawn actually has abilities, and doesn’t need James Roday’s affable charm to keep him from being the most annoying character in television history. Ahern’s clearly and carefully set the stage for several more books with these characters, and I’m eager to see what he does next. Disclaimer: I received this book from the author in exchange for an honest review, and I thank him for bringing it to my attention.